ASIWYFA? Yes, And So I Watch You From Afar are a band from Northern Ireland that play a mix of math rock and prog rock. No vocals, just lots of guitar, pounding drums and enthusiasm. Especially that last ingredient makes their live performances a real treat as I experienced a year ago. 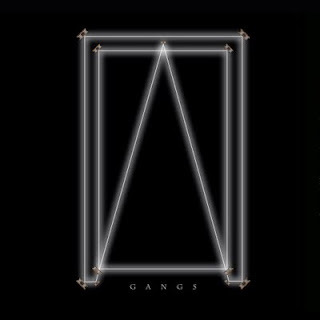 Now they have released their second full length album Gangs. And that album is full of explosive new songs. You can hear the excitement back in it. Like their live performances it will simply blow you off your socks. Even though it's related to math rock you don't have to worry that it's too much of guitar fiddling. Instead their music is full of great grooves and hooks. If you're into heavy guitars buying this album is a no brainer. Even better go check them out live too! I had to pleasure of seeing them once and am dying to see them again. So far without luck since I had to miss their gig last December in Amsterdam and unfortunately can't make it to festival De Beschaving that they're playing this weekend. And guys please re-release your first album and EP since they're impossible to get. Best enjoyed with the volume knob turned up completely.